Boot Ranch is everything I love about Texas all rolled up into one big beautiful package. It’s easy to get caught up in big city living and lose sight of the innate beauty of Texas until you hit the backroads. The minute you take that right turn at Evant, and head towards Fredericksburg, the Texas Hill Country rolls out before your eyes. Suddenly nothing matters but the view. You turn a corner, and Enchanted Rock looms up like a stone spaceship. 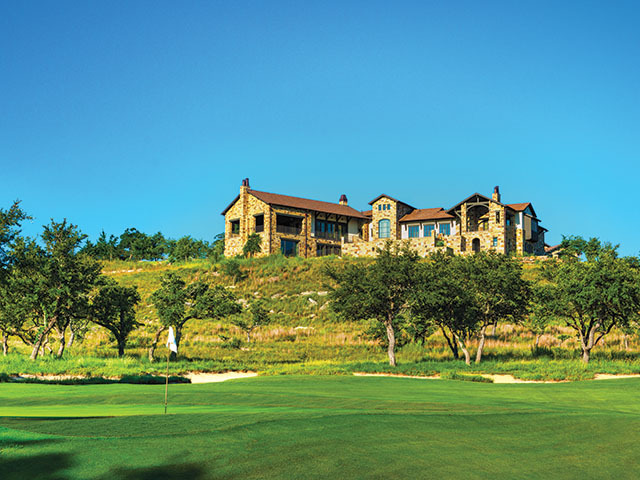 As you wind around the road to Boot Ranch, the clubhouse rises out of the stone cropping’s like a cowboy’s version of a castle and simply takes your breath away. The CandysDirt.com staff was lucky enough to be guests of Boot Ranch recently. 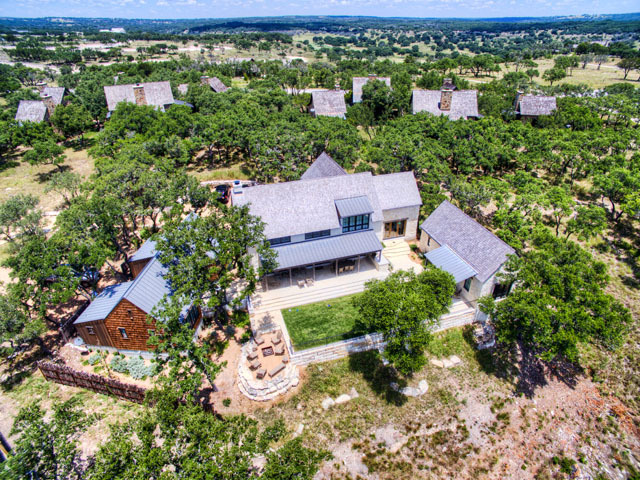 If you know anything about luxury vacation properties and second homes, you’ll have heard of the 2,000-acre luxury residential development only five miles from Fredericksburg. It’s an easy drive from Dallas-Fort Worth, Houston, Austin, and San Antonio. There is something for everyone of every age here. Is golf your thing? There’s a signature, Hal Sutton-designed, state-of-the-art golf course. Are you bringing kids? Enjoy the private lake complete with beach, paddle boards, kayaks, and possibly the best tree houses we’ve ever seen. 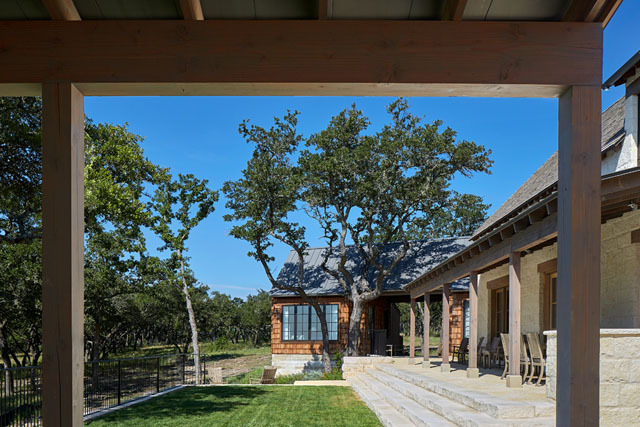 You can be as busy as you’d like or hang out on a porch swing, sip the local wine, and enjoy that view. Boot Ranch was the brainchild of Hal Sutton. If you are not a golf insider, Sutton was a professional golfer with 14 PGA victories including the PGA Championship in 1983. While building a state-of-the-art golf course is one sort of challenge, creating a community around that course is an altogether different one. 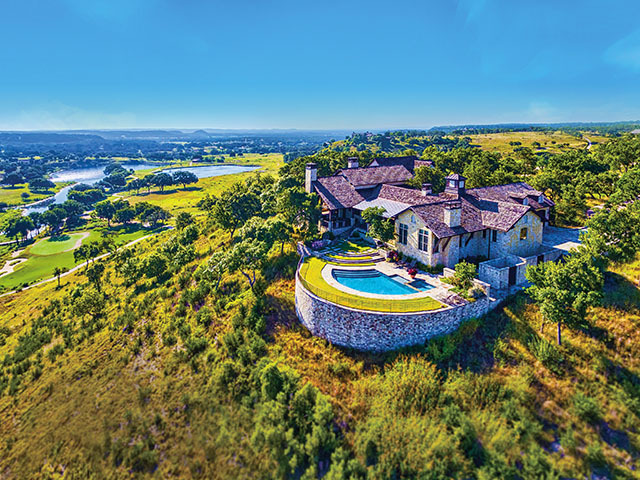 There is an expectation here that you will honor the land and the heritage of the Hill Country, and that’s exactly what has been accomplished here. The architecture of this community is unique for it’s well proportioned, symmetrical, classical structures. 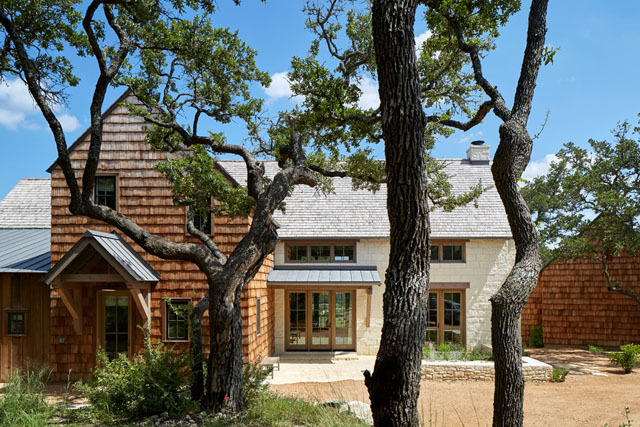 There is an adherence to basing new designs on the original, late 1800s Fredericksburg homes built by German settlers. 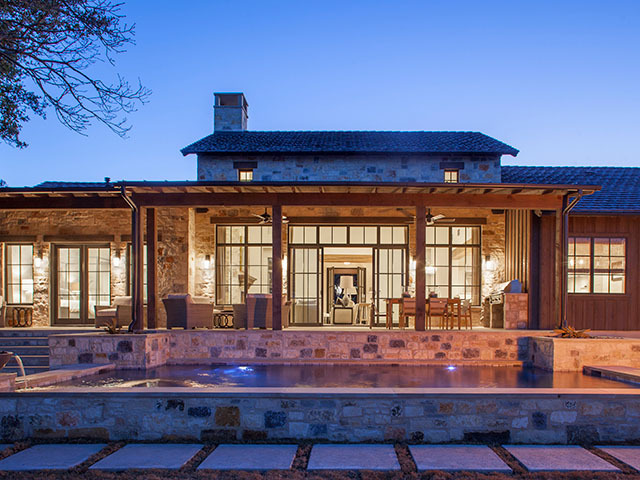 Faucheux’s firm and Don B. McDonald Architecture are responsible for the cohesive yet unique look of Boot Ranch. 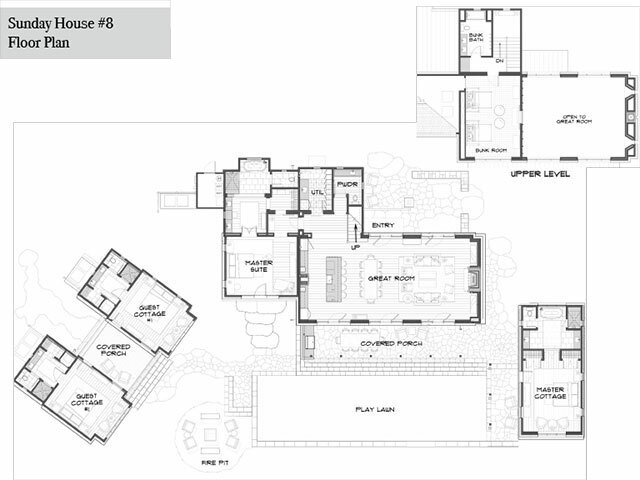 When you look at these homes, you may think they resemble a child’s rendering of a house. You’d be right. It reminds us of any art form. When you look at professional dancers, their moves seem effortless, but you know years of study and practice go into the simplest movement. A musician spends hours every day for weeks and weeks to ensure a single performance is inspiring and memorable. It’s the same with architecture. The simple look is often the most challenging to achieve, and the art is in the simplicity. 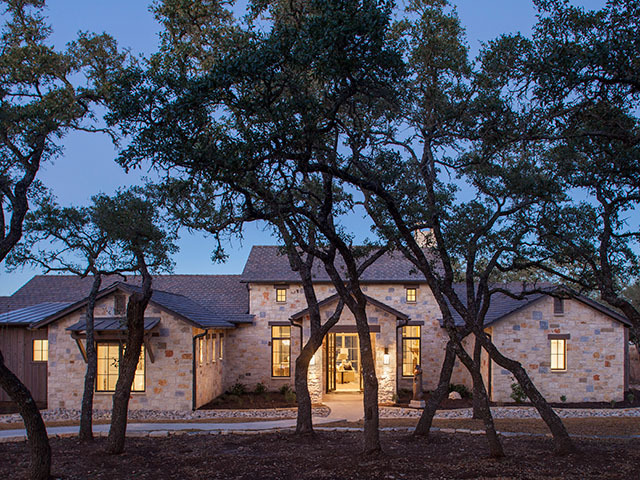 Boot Ranch offers a wide range of homes to suit every size family, from the popular Sunday House to the Country House, Summer House, Village House, and of course, custom homes. Of course, you can bring your own architect and designer, but why would you when you have the best talent in the country on tap, and you don’t have to oversee a single thing. 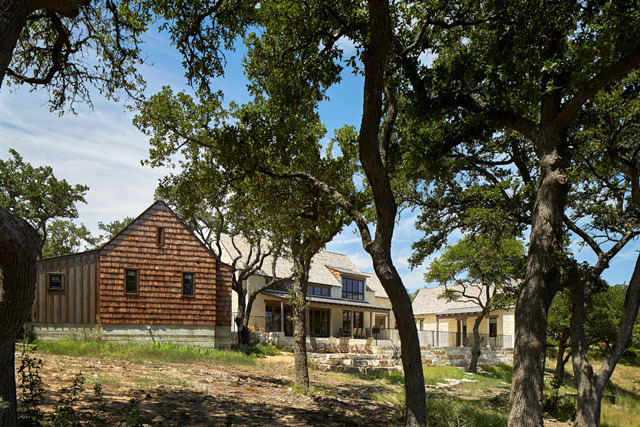 By far the most intriguing concept at Boot Ranch is the Sunday House. It’s a shared experience purchased by eight families. Each family is allotted 40 days a year at the ranch. Unlike most vacation homes, there is no need to arrive a week in advance to open up the house and get it ready for family and friends. There is no maintenance, no laundry, no caretaking at all. You simply show up and enjoy your vacation. For anyone that’s grown weary of maintaining a second home, Boot Ranch is the answer to their dreams. 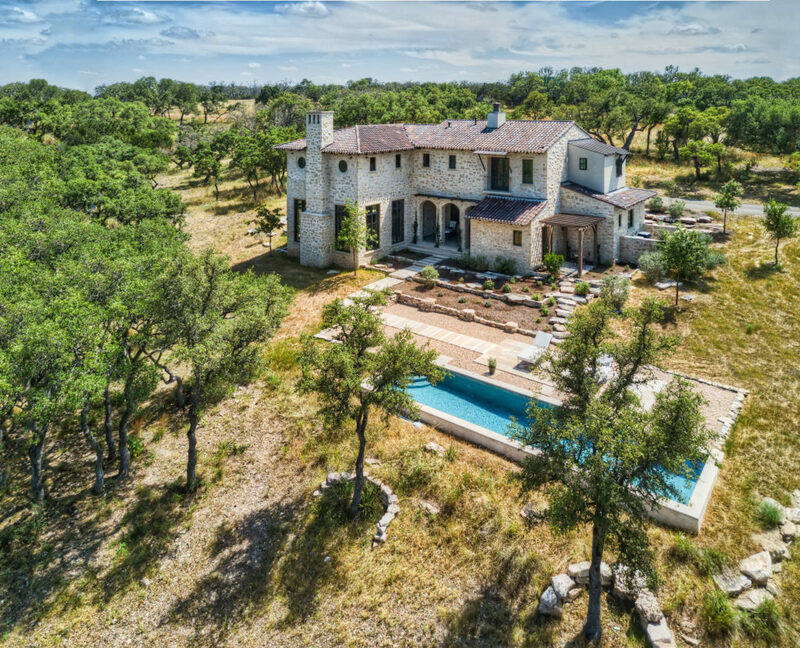 There is a shared vision of quality at Boot Ranch, and that vision is not sacrificed in any way. It is indeed a revolution of regional architecture, and it’s executed in a timeless manner.